It is almost time for Spring, and I am counting down the days for warmer weather and blooms! LA is year round nice weather most of the time, but we’ve had an actual “winter” this year, with lots of rain to help get most of the state out of a drought, with the exception of some parts of southern California! In addition, I am entering the final months of my PhD and while it feels like its been forever and time is going by slowly, May/June will be here before I know it! I am going to start writing the last parts of my dissertation come April! 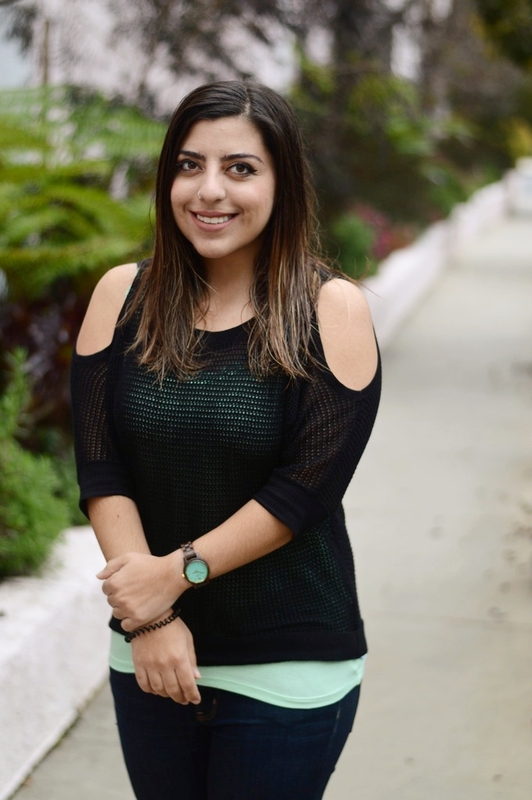 I am currently looking for research jobs but also exploring other options like science writing! 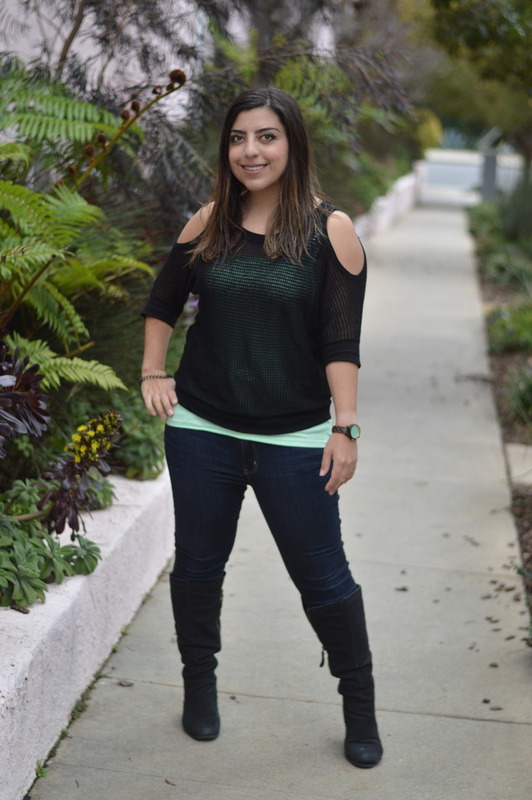 Here is a lab friendly outfit I put together, with this really pretty cold shoulder top. I am in love with this trend for Winter/Spring, and I love that this specific top can let some color peek thru, as I have paired with with various colors. 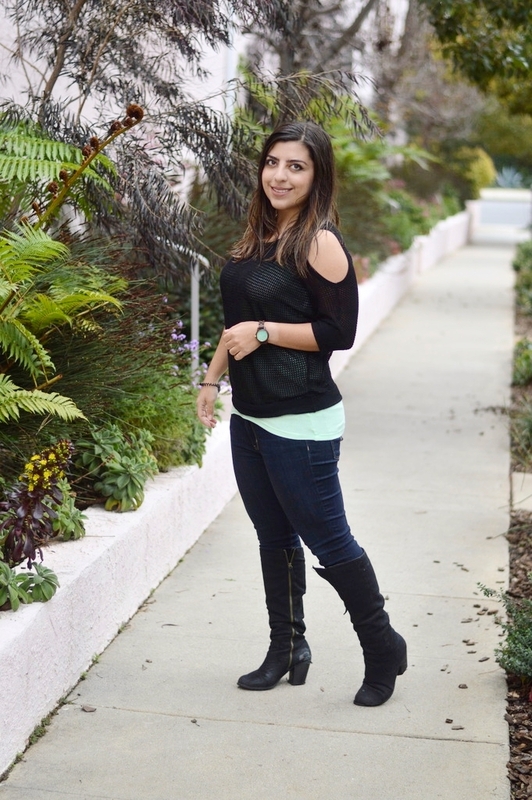 Some dark jeans and some boots, and the look is perfect for the lab! But we can’t forget about accessories – and for this outfit, I based my outfit on my accessories! Does anyone else ever do that?? 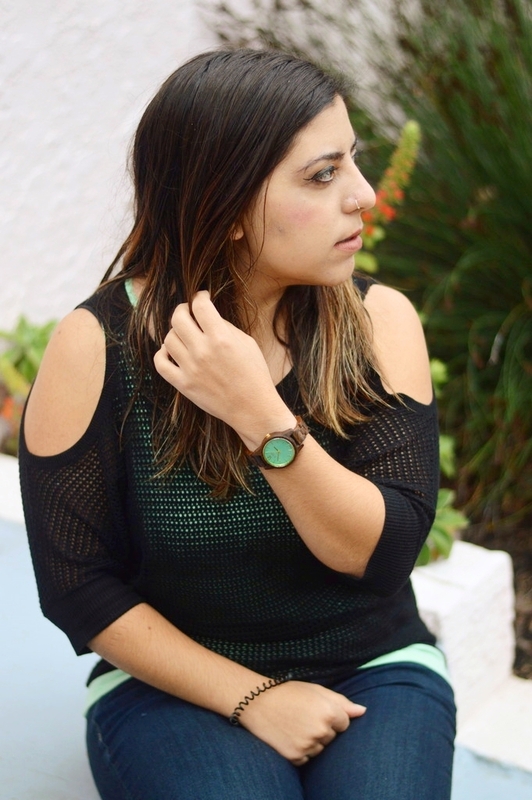 I purposely looked for an outfit I can match with my new women’s watch by JORD Woodwatches, mostly because of the really cool Mint watch face. 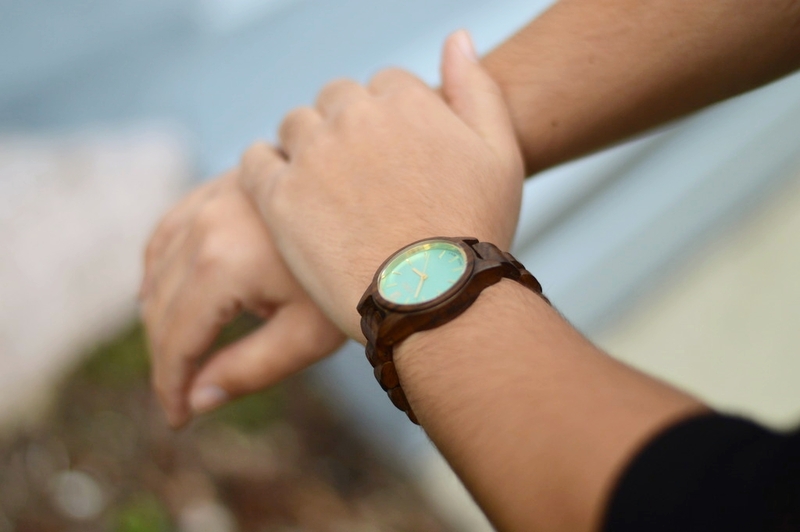 I really fell in love with the cool combination of wood and mint – perfect casual or dressy accessory piece (AND it won’t ruin my dark room films because it won’t light up with I lift my wrist! Backstory, my apple watch ruined a film because I forgot to take it off in the dark room and it lit up when I turned my wrist!). It’s a rather unique watch, and JORD has a whole collection of Men’s watches and Women’s watches, with different color faces and different “shades” and types of wood. 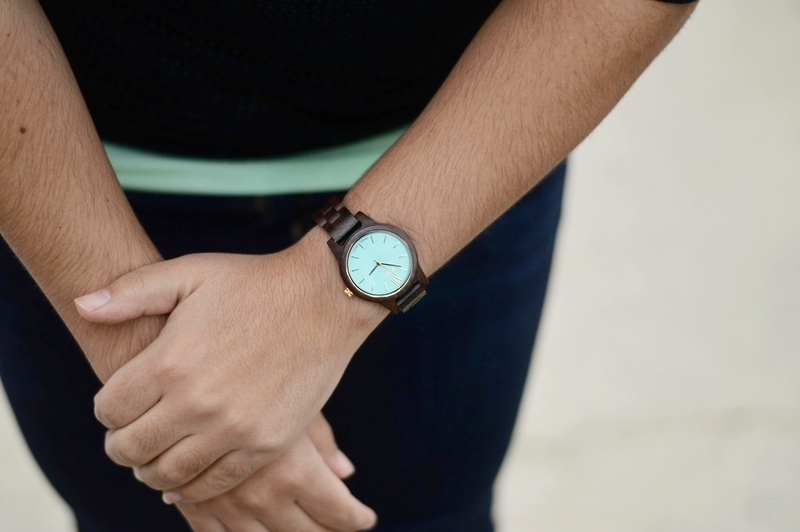 I went with a dark sandalwood watch with a mint face, that you can find HERE, although there were other watch face colors available! I really liked mint and thought it was perfect for Spring! Do you have any unique watches or accessory pieces you have styled before? Do you still have an old school watch or do you use a smart watch? Sometimes its nice to unplug for our over stimulated world and have a simple watch like this one! I love how it looks on, its comfortable, and when you order it you can have it custom fitted to your wrist, so no more watches slipping down your arm because they are too big, or hurting because they are too tight!! That’s a problem I’ve had with a lot of other watches I’ve tried before, but on JORD they have you submit your wrist measurement and they send you a custom fitted watch! I’m also hosting a giveaway for a code for $100 off a watch of your choice! All entrants receive an e-gift code for $25 off a watch of your choice anyway, so you don’t lose anything by entering! At best you win $100 off! Sounds like a great deal to me! Enter the giveaway here at this link and you will have a gift code sent to you when the contest is over! Do let me know your thoughts on this outfit, this watch, and anything else you have on your mind going into this new month! Next Post Every Day Makeup Look Tutorial for Lab or Work! THis watch is really lovely, dear Andrea, and the promo too, how cool is that? I loved the mint face, it's really saying "spring"! 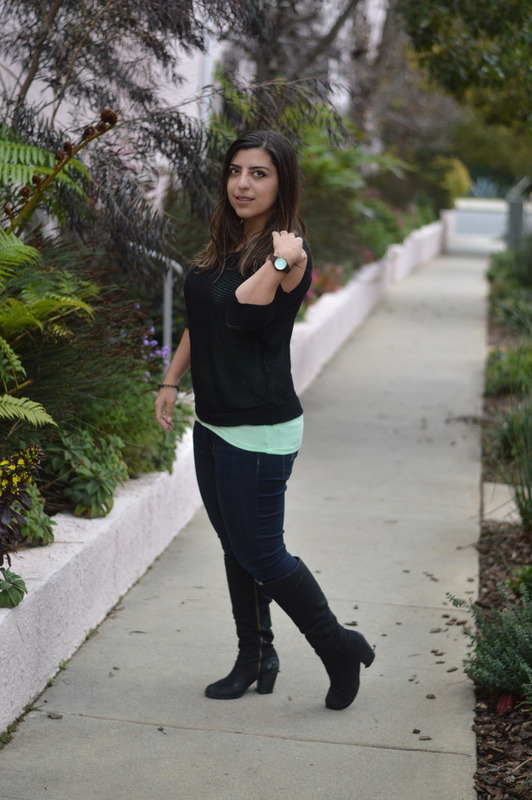 I liked your outfit very much, with mint, nice boots, and I am happy that soon it will be the end of the dissertation! I hope you get a job exactly the way you want! You look so beautiful, you ARE beautiful on the inside and on the outside and I really hope you get everything you want! Hope you have a very lovely day, dear Andrea! I love love JORD watches.. The one you chose is so gorgeous. I absolutely love the color !What surprised me the most about these watches was how light they are!! I also love this simple yet stylish outfit you are adorning. such pretty sleeve details <3 I have been enjoying the rains a bit too much lately but I think now it's time for some actual sunshine 🙂 Have a wonderful week babe!